Worldwide interest in biosimilars is gaining momentum. These close models of significant and profitable biopharmaceuticals are expected to have a dramatic market impact. Some of the biggest-selling biological drugs developed during the first phase of the biotechnology revolution in the 1980s, including human growth hormone (hGH) and insulin, have lost patent protection. Who’s Set to Win as Biosimilars Reach Markets? What Companies May Face Threats? Are Reports of Market Effects Hype or Reality? What are the Best Disease Categories? What Will the Opportunity Be in the Next Ten Years? 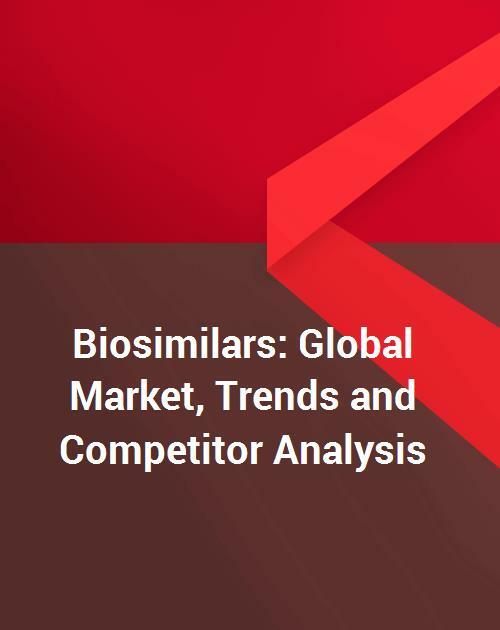 This report, Biosimilars: Global Market, Trends, and Competitor Analysis, addresses these points and more. The report is a detailed analysis both of the market for biosimilars and for the market effects on pharmaceutical markets. Kalorama Information last visited this topic in 2013, but since that time there has been increasing worldwide involvement in the development of the biosimilar arena. The global market for biosimilar products has grown, adding to the growing strategies of cost savings and improved health outcomes. Despite the benefits, both economical and to patient health, the market was initially slow to develop and has thus far only reached a fraction of its potential. Insulin, blood products and monoclonal antibodies are expected to show the most potential for generic equivalent products. Generic versions are available in several world markets for epoetin alfa, rituximab, insulin, and other products. As we move through the forecast period, biosimilars in cancer treatment are expected to show favorable results. Although revenues for biosimilars remain small due to the regulatory restrictions in most lucrative markets, such as the United States, there are a number of products, which entered recently or will enter the market in the coming years, further expanding revenues for the biosimilar market. The world market for biosimilars has historically been fueled primarily by the demand for bioequivalent versions of blood products erythropoietin and G-CSF. A focus for biosimilar production in the United States and key markets in Europe is hGH. Another area showing great promise is the monoclonal antibody segment, which includes several autoimmune and oncology products. Beijing Four Rings Biopharmaceutical Co Ltd. Harvest Moon Pharmaceuticals USA, Inc. The report draws six main market conclusions that involve patent protection, pricing, market participants, emerging markets, evolving market strategies and education.